The Sam Houston State University's Staff Council's "Spotlight on Staff" award is given monthly to a university employee as a way to learn about other staff members and to recognize and show appreciation for the work he/she does for the university. Staff members are randomly selected by the council's public relations committee and are surprised with a certificate of appreciation and a basket of SHSU items, gift certificates and homemade goods. Staff Council PR committee members include Julie Schwab, Trisha Allen, Ann Broussard, Lori Proctor, Jennifer Skains, Sherry Hirsch, Norma Vasquez, Clint Lockwood, Paige Loft, India Love, Angel Lamb and Martha Mendiola. To learn more about the SHSU Staff Council, visit http://www.shsu.edu/~staffcouncil/. Called the “go-to person” in the Newton Gresham Library, Craig has worked in the library for 20 years, serving in stack maintenance, circulation, reserves and now in the Interlibrary Loan department. 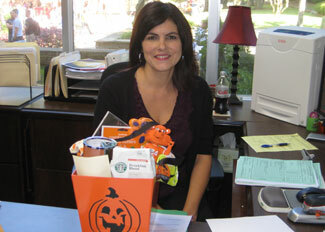 Craig is an SHSU alumna, as is her husband and two of her three of her sons, as well as her daughter-in-law. She enjoys reading, cross stitching and staining glass. Cannon has worked for SHSU since 2007 as the energy management/utilities clerk, paying utility bills and managing reports within Physical Plant. She is the adviser to the SHSU chapter of Project Sunshine, though which she works with more than 100 volunteers per semester and serves families and children with medical challenges and learning disorders. She is also the logistics officer for the Walker County Community Emergency Response Team, a Red Cross Volunteer and a first aid instructor. Cannon has been married for 19 years. She has three children, three stepchildren and a foster daughter from Cambodia. 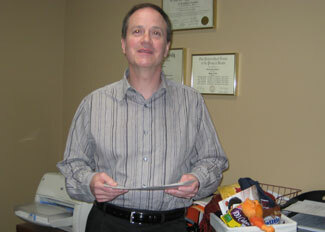 Keith has worked in the theatre department for two and a half years as the costume shop supervisor. 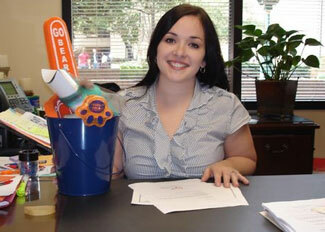 A Bearkat alumna, she received her bachelor's degree from SHSU and her master's degree from the University of Houston. Keith serves as the vice president of programming for the United States Institute for Theatre Technology- Southwest, a regional organization of design, production, and technology professionals, educators, and students in the performing arts and entertainment industry. 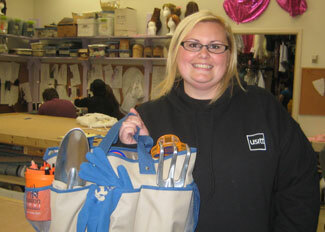 She also helps organize the Huntsville Family YMCA art camp each summer. 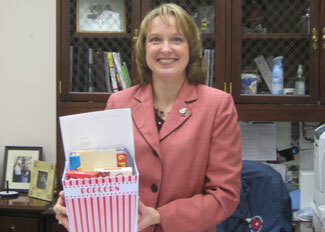 Bird joined SHSU in fall 2007 as a staff member in the Registrar’s Office before beginning her current position as secretary III in the Dean of Students’ Office in fall 2008. She is the mother of two boys, Taylor and Gavin and stays very active with their various activities. Bird serves on the Students of Concern Crisis Management Team, Bearkat Memorial taskforce committee and the Parking Appeals committee. Hurst has been a project coordinator with the Correctional Management Institute of Texas, within the College of Criminal Justice, since 2000. In 2004, she was named executive director of the Texas Jail Association, for which she coordinates two yearly conferences and maintains membership data. Hurst also is the editor of Key Issues, TJA’s quarterly publication. She, her husband and their three children “live and love the country life,” where they own horses, cows, donkeys, cats and dogs. Having lived around the world, Herrington feels her experiences have probably provided her with the best skills for working with students in the Office of International Programs, where she is the international student and scholar adviser. Herrington has lived in Europe and the Orient. Her first experience at SHSU was studying abroad in Bejing, China. “I know how homesick some of our students may become after four years,” she said. “I have experienced the frustration of not knowing the language of my host country.” Herrington, who has been married for 40 years, has a son and daughter and three grandchildren. Osborne has served as the ADA coordinator for the Services for Students with Disabilities at the Counseling Center for five years, facilitating academic accommodations and auxiliary aids and services for SHSU students with disabilities. He also serves on the ADA compliance and oversight committee. He is married to Lisa Osborne, secretary in the College of Arts and Sciences, and they have six four-legged “children” (cats and dogs). Osborne enjoys classical music, politics and fitness. Buchanan has worked for SHSU for eight years, currently serving as the assistant to the dean of College of Business Administration and previously as the administrative coordinator in the Academic Affairs Office. She is married and has three children: Jessica, freshman at the University of Texas; James, junior at Huntsville High School; and Garrett, 2 years old. 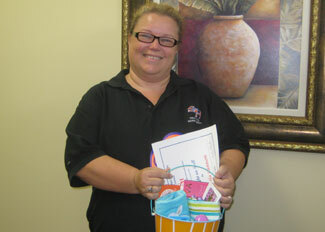 She enjoys spending time with her family, working out, reading and watching sports. A fellow Bearkat and an Alpha Chi Omega alumna, she has a Bachelor of Business Administration degree in accounting and Master of Business Administration degree. She is an instructor for SAM 136. Buchanan also is actively involved within the community. 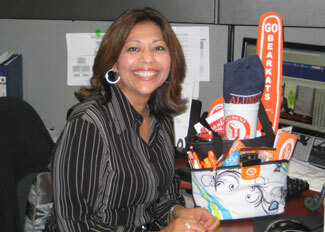 Zavala, has worked for SHSU since March 2009 in the Human Resources department as a clerk. She grew up in Huntsville and has been married for 25 years. 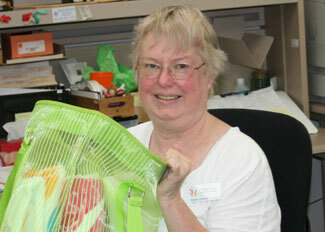 She and her husband have two children and two grandchildren. Zavala enjoys spending time with her family and watching her grandson play soccer. 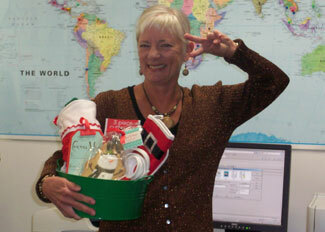 She and her husband are active members of their church and helping with the Spanish ministry.